It’s been spotted adorning everything from bedding to wallpaper, making it easy to add the cool, Italian vibe to your home. Terrazzo is back. The speckled floor material is having something of a renaissance, but with a fresh, modern spin that pairs perfectly with clean and simple decor. The flecked material, as we know it, is centuries old, developed over 500 years ago by Venetian workers as a way to use up discarded marble remnants, making it one of the first recycled products. Terrazzo is made of chips of marble, stone, glass, granite or other hard substances, set in cement or epoxy to bind it together and then polished to give it a smooth finish. It’s known to be durable, low-maintenance and easily customizable. According to Pinterest, saves for terrazzo are up 316 per cent, and companies such as Marble Trend, a Toronto-based importer of natural stone and engineered products, say they have seen an increase in demand. “The design industry is heavily leaning towards selecting eco-conscious ‘green’ materials including anything recyclable and recycled. With traditional terrazzo being comprised of leftover stone fragments, and newer engineered terrazzo-style products being comprised of 100-per-cent recycled content, people have now associated sourcing ‘green’ materials with terrazzo,” says Gabriella Luchetta, marketing manager of Marble Trend. What was once only found on floors of mid-century era schools, hospitals and government buildings has been reborn in brighter colours and often with bigger chips of stone for a fresher look. It’s been spotted adorning everything from bedding to wallpaper, making it easy to add the cool, Italian vibe to your home. 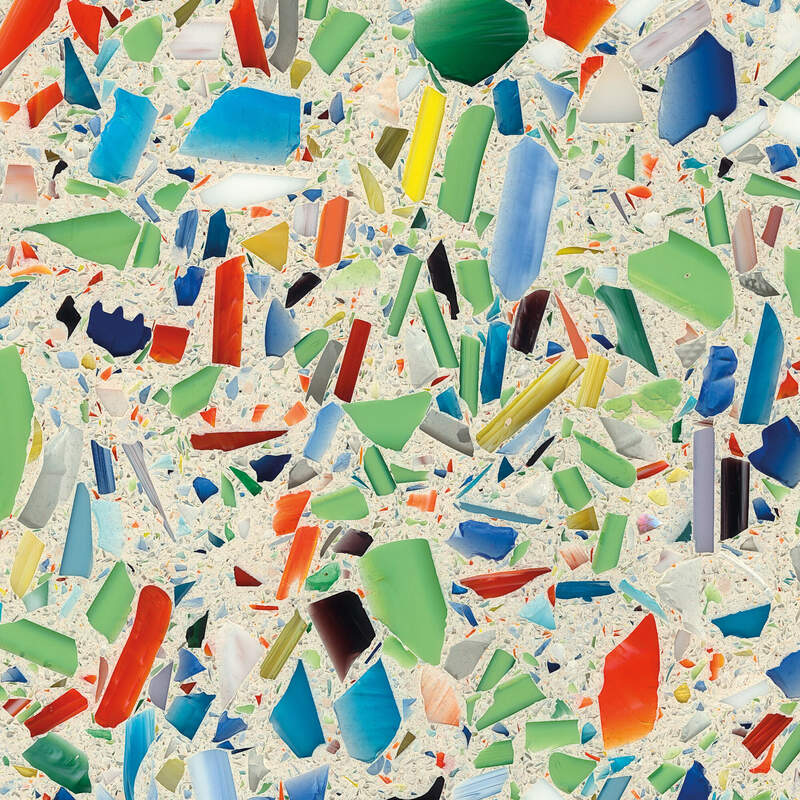 Take a look at some of our favourite terrazzo-inspired finds for your home. For those who aren’t commitment shy and want to make a statement, go bold with a terrazzo backsplash, counter, flooring or perhaps a custom table top. Marble Trend, a Toronto-based importer of natural stone and engineered products carries a wide variety of terrazzo brands including Vetrazzo — a recycled glass surface created with 100 per cent recycled components such as beer, wine and vodka bottles, condiment jars, oyster shells, mother of pearl, traffic lights, windshields and more.